A little fox in the woods. This was a really easy bento to throw together. I love how the lunch ended up having a warm "woodland" feel. 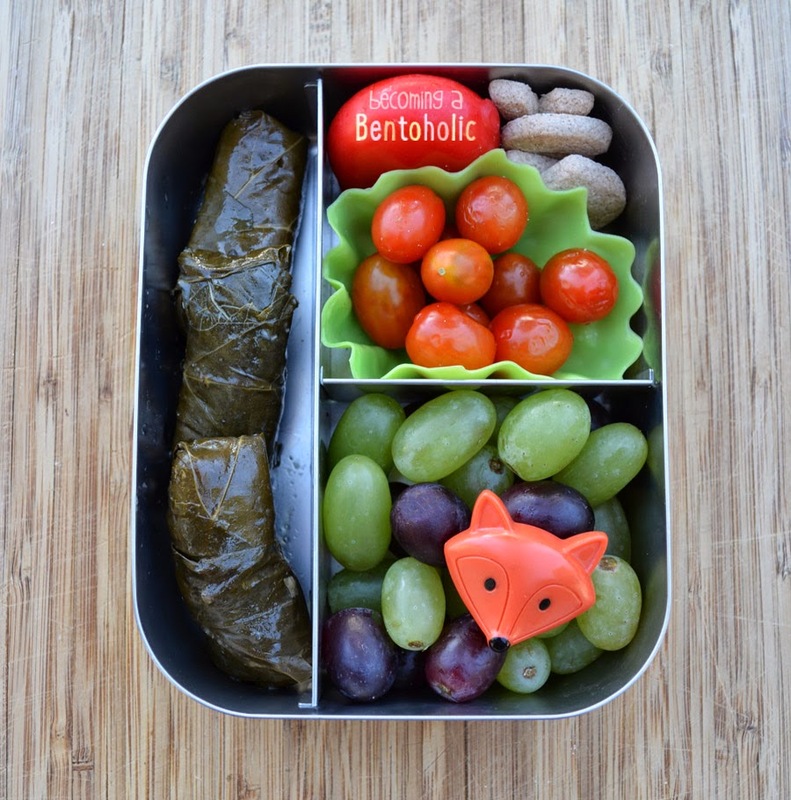 In this bento: Dolmas (rice stuffed grape leaves), Babybel cheese, grape tomatoes, letter cookies, and red & green grapes.